Every keen gardener or landscaper is always on the lookout for new and exciting ways of giving their garden some character. Fortunately, using garden sleepers for landscaping can aid those with an inventive mind in coming up with some truly inspiring garden sleepers ideas. 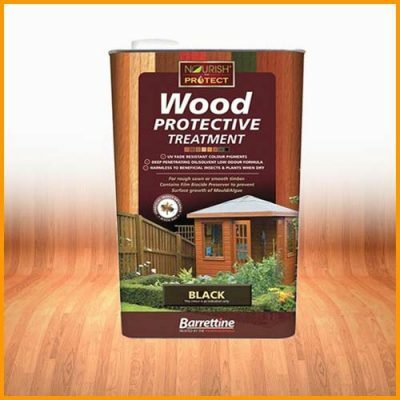 The main benefit of garden sleepers is that they are long-lasting, so you can be confident that when they are used in any kind of landscaping project, the project has longevity. Timber merchants can often provide garden sleepers that are of a high standard, and treated to be used in a number of different projects without faltering. Garden sleepers are also very adaptable and can be cut to a number of different shapes and sizes, allowing for vast number of uses in the garden. Railway garden sleepers and new softwood and hardwood oak sleepers have become very popular when it comes to garden projects. Garden sleepers are stylish, charming, hard wearing and cost effective and are the perfect landscaping material. 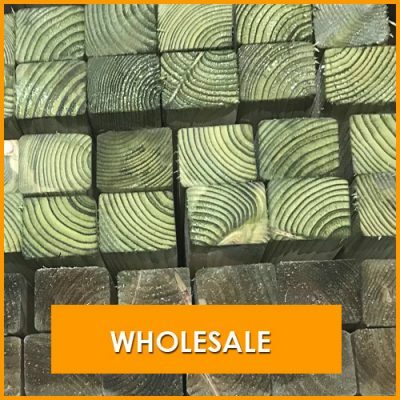 There are a range of gardens sleepers to buy from aged reclaimed railway sleepers to new ones, they come in varying shapes, lengths, shades and prices so there is generally always one that will suit your garden project. Some sleepers will come ready treated with creosote to preserve them for a longer life span, these are the aged sleepers. One the other hand new hardwood and softwood sleepers offer a more natural look. When buying them new check if they are tanalised pressure treated garden sleepers as they will more durable and long lasting when it comes to ground contact. When landscaping with sleepers, creating a raised bed can do wonders for a garden. 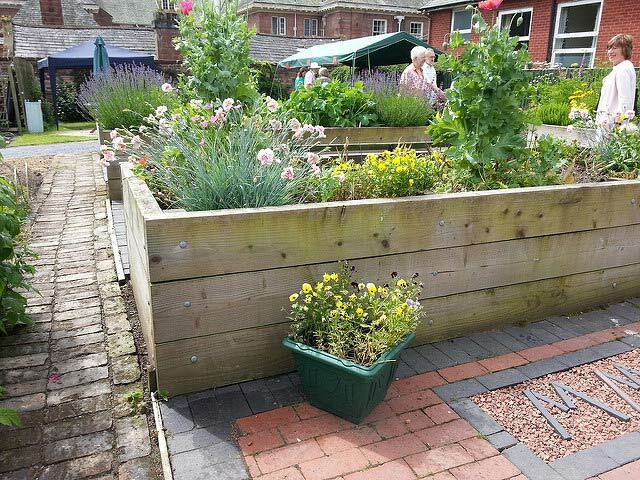 As well as showing off your current flower beds, you can add more variety to your current collection by introducing raised beds, easily constructed using garden sleepers. 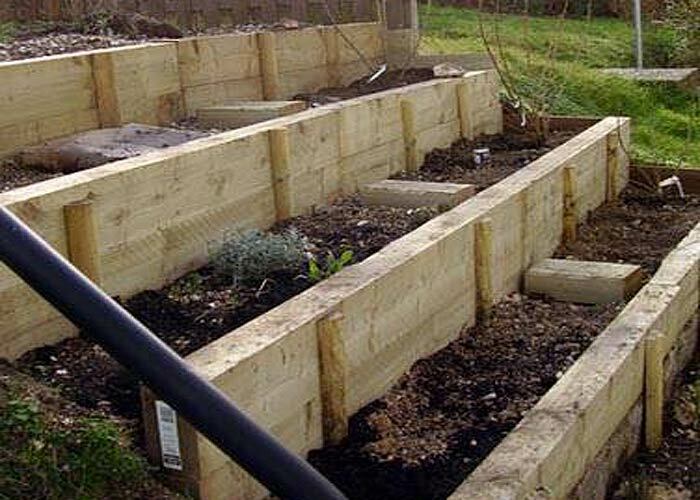 Raised beds can also be used to grow your own produce, such as vegetables. And due to your flowers and vegetables being raised, they won’t come into contact with any harmful weeds. 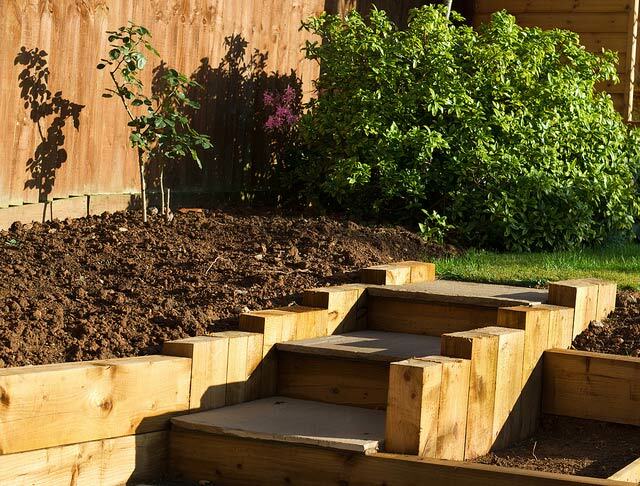 Steps can be created from a number of different materials, but landscaping with sleepers allows those with a keen eye to create steps that stand out, as well as being robust. The steps can be fitted using a couple of methods. The first is to use concrete to set the steps in place. The second is to drive wooden stakes into the ground that act as a support for the steps. Many of us want to ensure that our flowers and produce are kept separate from our lawn, especially those of us with children or animals. This ensures that our plants and produce stay safe, while ensuring everyone knows where the restrictions are while in the garden. Edging of your lawn can also give your garden a unique touch. Garden sleepers are ideals for this very purpose, especially as they are robust, as well as pleasing to the eye. hen landscaping with garden sleepers, the uses are numerous, and that’s due to how adaptable garden sleepers are. Sleepers can be cut into various sizes, which means than can build anything from a small retaining wall on a garden path, to longstanding fences that look to stand the test of time with ease, as well as ensuring your children and animals are kept safe. Whether you’re looking to build a number of raised beds, or just give your garden a new lease of life overall, you will find that once you’ve completed one project, you’ll be keen to try out a lot more. Fortunately, the use of sleepers in landscape gardening is only as limited as your imagination. Using thin strips of garden railway sleepers set into the ground provide a sturdy and charming pathway or walkway which can really transform even the smallest of country gardens. Sleepers are easy to handle and set into the ground and require little maintenance once placed into the ground. 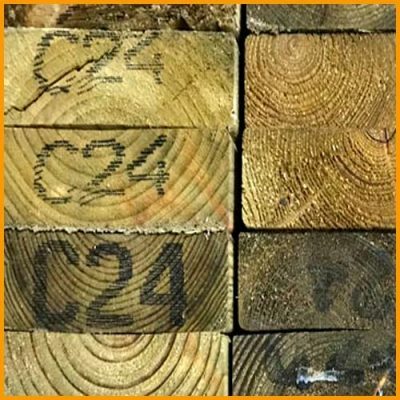 However, when considering sleepers for sale, you should ensure you only use reputable timber merchants, as they will have a number of years’ in the industry, which in turn ensures that only the best garden sleepers are being sold, along with the right kind of advice. 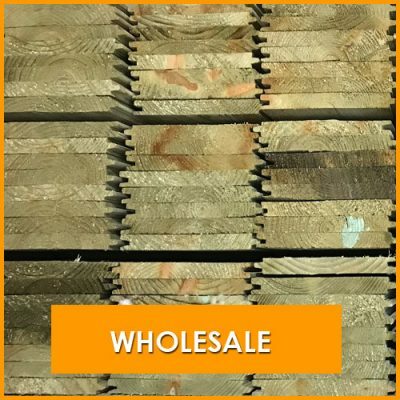 At Topwood Garden Buildings and Timber suppliers, we always have a large stock of sustainable softwood pressure treated garden sleepers for sale at unbeatable wholesale prices. We also provide a fast efficient delivery service to almost anywhere in the UK.